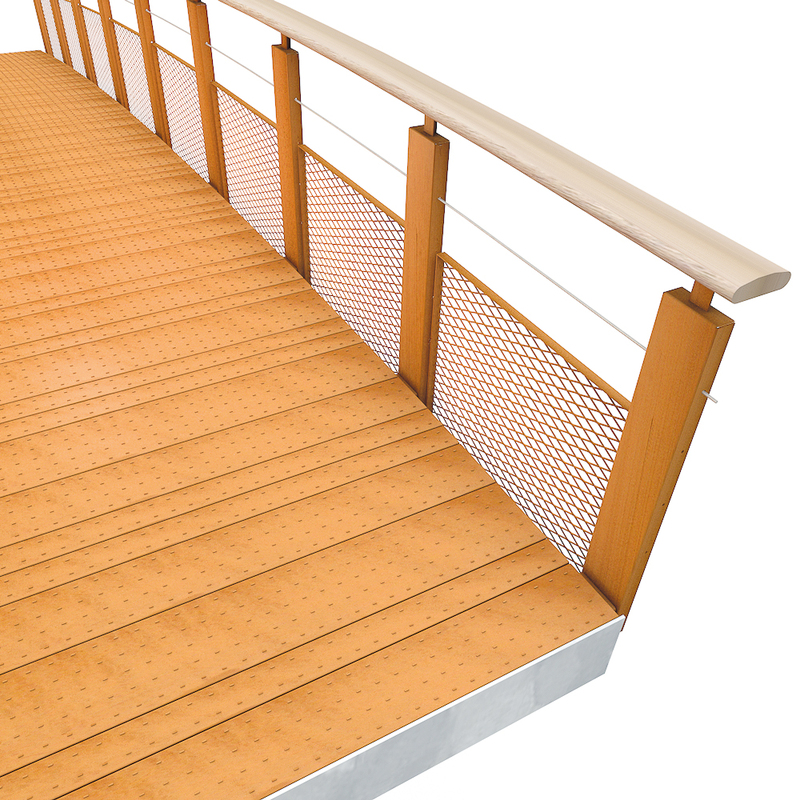 Bold Bridges are characterised by their sturdy balusters with clean-lined detailing. A bold, oval-planed hardwood handrail on a narrow column completes this architecturally-detailed fencing. 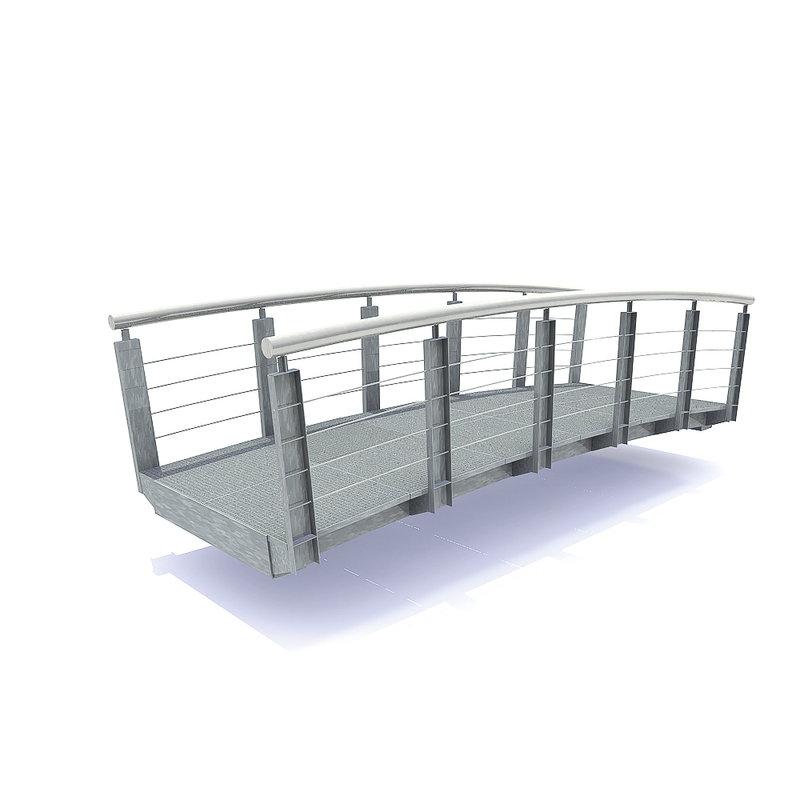 A robust stainless steel tube railing (Ø 10 cm - 3.9”) makes an attractive alternative handrail. 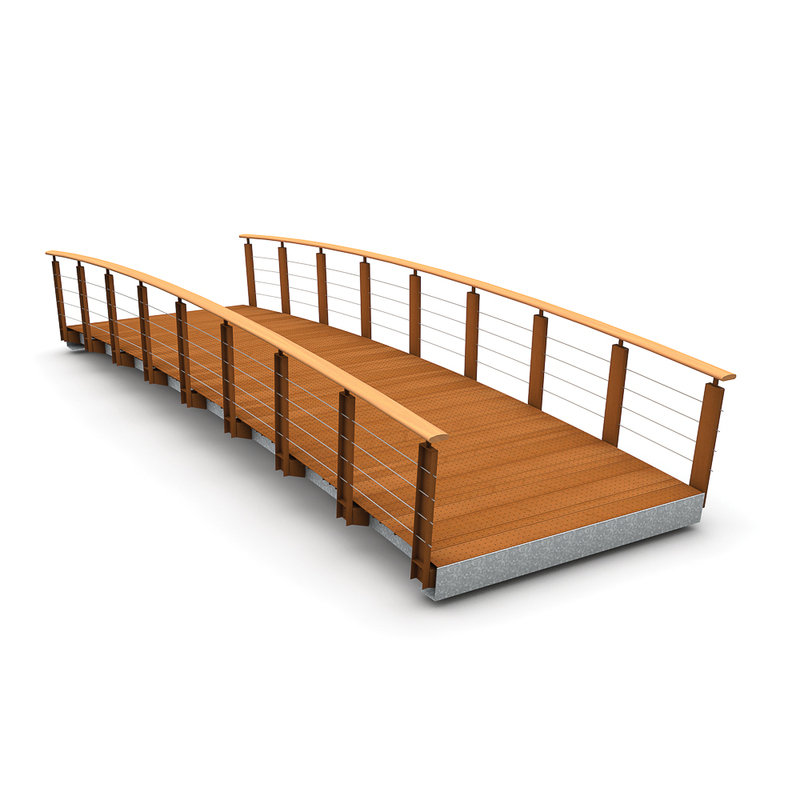 The posts are thermal diffusion galvanized and can be optionally power-coated or made of CorTen steel. 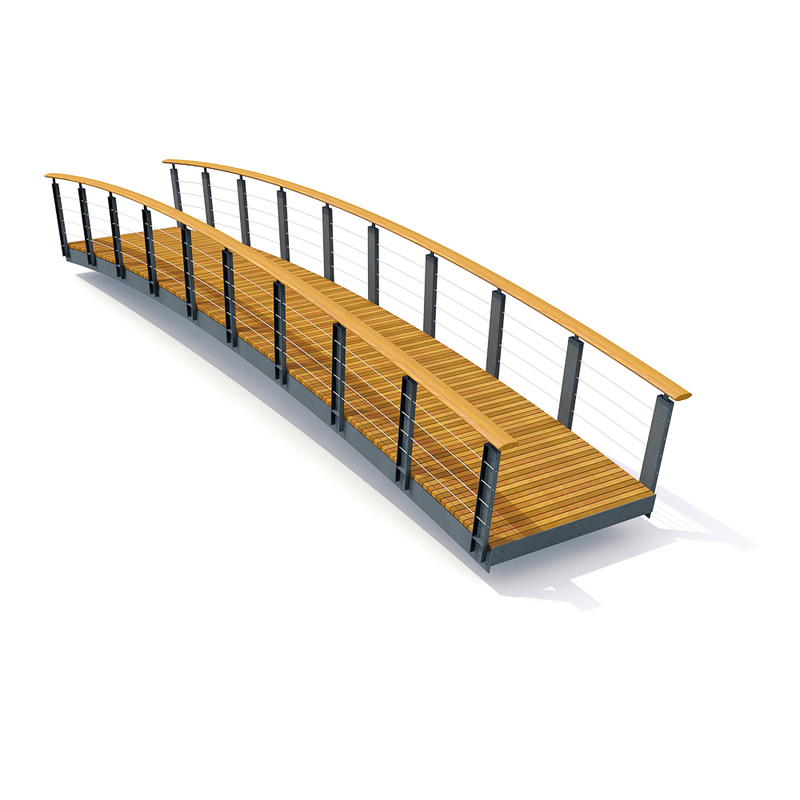 Bold Bridges have overhanging posts, invisibly mounted on a closed-edge girder. Horizontal stainless steel cables with tensioners complete the fencing.